These days jeans (or overalls as they used to be known) are acceptable wear nearly everywhere you go. Don a pair of black ones, top with a spiffy jacket and you’re ready for a dinner date. Home-bleached, stone-washed, acid-washed, dark-wash. Bootcut, relaxed fit, mid-rise, low-rise, hip-huggers. Five-button Levis, bell-bottoms, skinny-leg, straight-leg. New and creased, old and baggy, fashionably “distressed. We’ve run the gamut and back on styles. I just ran across a very interesting and informative article entitled “The History of Overalls” written by Susan Jones on her blog at the Cattle Grower Network. Check it out. It’ll make you look at your closet staple in a different way. Today, we’re continuing the interview with Laura Kalpakian, a multi-awarding-winning novelist from Northwest Washington. Laura, You’ve used an interesting technique in interspersing a recipe and a “snapshot” vignette between each chapter. Can you explain why you used the snapshots? Is this a way of dealing with backstory? In the course of three years, I cut and re-arranged. Started in different places. Tried different narrative voices. Finally, quite late in the process, I stumbled on the notion of the “snapshot,” the vignette that would pull a character out of the larger story and illuminate him or her, with an accompanying recipe. Even though some of these characters didn’t show up throughout the novel, the “Snapshot” allowed the reader to know them better, and for their story to be plowed back into the whole of the reader’s understanding of the American experience in the West. (It is truly a novel of the West.) Of these, my favorite is Ginny Brothers, the cowgirl and stuntwoman. Researching Ginny was tons of fun. Late in the book the function of these “snapshots” changes. They allow me to give the reader enough info that I could move the story forward swiftly, that I could develop characters and situations, but not linger. So, for instance, Liza’s “college essay,” that snapshot tells you more about Liza, yes, but it also gives you story, setting, and tension. Toward the end of the book, when the March family is in Italy, with Liza’s “snapshots,” the narrative can dwell on the important events, and not spend a lot of time saying how they got to Italy, or why. Too, these snapshots show Liza’s adoration of her father, and how that would cast sad, lifelong shadows over her relationship with Eden, her mother. I always intended to end each chapter with a recipe, but once I discovered the “snapshot,” the book came into focus for me. I still cut a lot of material. What genre would you say your books fit into? Do you consider your writing character-driven or story-driven or a combination? My books don’t fit into any genre. More’s the pity. I consider myself a character writer. For my work, character, landscape and language are the truly important elements. I like to think that if you put a handful of character into a potful of circumstance, story will assuredly be the result. Do you have a schedule for your books, for example, months set aside for research, writing and promotion? I usually do the research while I’m doing the writing. Since my practice is return and revise interminably, usually over the course of some years, this process works. The book grows and expands, and it also keeps the research (sort of ) focused, though I’ve been known to go off on tangents so compelling I sometimes have thought about dropping one book and writing another. I end up knowing a lot more than ever makes it into the book. But my research deepens the book and the characters. I write every day. Seriously when I was in grad school. I’d always wanted to write fiction, but I used to laugh and tell my friends, Oh when I get an electric typewriter, I’ll write the Great American Novel. When I got one, I wrote lots of letters, and a friend wrote back and said: you’ve got the typewriter, now the novel! Too, I was of an age when it was clear to me that if I did not try to write—face the terror of the blank page—I’d never know if I was any good. So I picked up the pen, so to speak, but I wrote for years, testing, learning, expanding, discarding before I published anything. Grad school, needless to say came to take a back seat in my life. I published my first novel rather taking exams for the PhD. in literature. In the sense that I read voraciously, wrote, revised, tore things up, sulked and fumed, laughed and wept at the typewriter, yes. That is to say, the way that all writers up until about 1970 when you find the early MFA programs, learned to write. My only formal writing class was high school journalism, and I thank that teacher immensely for giving me a tidy set of rules I still live by: stay away from the passive voice, always look for the active verb, never start a sentence with “It.” I break these rules on occasion, naturally, but they still serve as marks of good prose. You now teach a memoir writing class through Western Washington University. Did that evolved from your novel, The Memoir Club? The novel evolved from the class which I originally taught at University of Washington in 2001. They are all faux memoirs, the characters’ stories uniting as the book progresses. You once said you were inspired by Dickens and how his early life experiences shaped his fiction. Can you elaborate a little on that? But as Dickens’ work matured his characters grew more interesting, layered, less innocent. (As with Great Expectations.) Still the vibrant cast of lesser characters never diminished. He drew extensively on his childhood and youth and created from them a huge swath of fiction. He never wrote a memoir. As a novelist, he could re-visit his past from many different perspectives as he grew older. To me, that is one of the charms of writing fiction. My guest, Laura Kalpakian, is a multi-awarding-winning novelist from Northwest Washington. She has received a National Endowment of the Arts, a Pushcart Prize, thePacific Northwest Booksellers Association Award, and the first Anahid Literary Award for an American Writer of Armenian descent. Her novels include Steps and Exes, The Memoir Club, Graced Land, Caveat, and These Latter Days. Her short fiction has been gathered in three collections, including Fair Augusto, which won the PEN/West Award for Best Short Fiction. She has published ten novels and three collections of short stories. Her newest novel is American Cookery. This is a fascinating blend of character, story, and the love of cooking. Whatinspired you to write this book? One of the thematic canopies of the book is the notion of “Revel and Preserve.”Usually that’s an either/or proposition; one may revel or preserve, but not both. But writing down a recipe can achieve both. A recipe is also fluid and responds to the hand ( and eye and imagination and ingredients) of whoever uses it. In my own experience as a daughter and a mother, much of the history of my family can be gleaned from recipes. When my sons got their own apartments, I started to put together cookbooks for them, but found I was more interested in the stories behind these recipes, days, events, moments of our mutual past. So it came to me that perhaps I could write a memoir using recipes as a vehicle for the story. However, I didn’t want to be constrained by just one perspective (as a memoir is), and so from the beginning, the undertaking became a broad-canvas novel, to encompass the experience of many families of varied background, cultures and ethnic heritage, hence its title, American Cookery. Is Eden Douglass (or any of the other characters) based on a real person, a relative of yours perhaps? The early characters in the book, the Douglass family, are taken from my 1985novel These Latter Days. This novel has provided me with characters and a setting for two more novels, many stories, and pieces as yet unpublished. When I began to thinkabout writing American Cookery I realized I didn’t have to invent wholly new characters;I had this huge family, and their whole town of St. Elmo to draw on. In These Latter Days the last scene is Eden Douglass in 1940, leaving Idaho on a train bound East. So I started with her and went backwards into her family’s past, and the people I had already created. The Douglasses are a huge Mormon tribe, and in creating them, I used bits and pieces, some memories of my own relatives on my dad’s side. But some characters are totally products of my imagination, with perhaps bits and pieces of myself thrown in. Eden is one of those. These Latter Days and American Cookery are not dependent on one another. Scenes from one do not repeat in the other, but many of the same characters, major and minor, are present in both. The latter part of American Cookery-the Second World War and after material, the March family, Greenwater ranch-all those characters were newly minted. You incorporate wonderful cooking and recipe metaphors into the story. For example, “You take what’s on hand and apply to that a little imagination, a sense of timing, to make those ingredients yield what you want.” Good advice for cooking as well as for life. Are the recipes from your family? The recipes in the novel are indeed all my own; I ascribe them to my characters. They have all been “tested” in my kitchen, feeding my friends and family for the past twenty-five years. ( I only started writing them down when I began to use the computer in 2000.) Choosing the recipes was difficult because they each had to fulfil certain criteria. In terms of execution, they could not have exotic, hard-to-find ingredients, nor require expensive equipment nor exacting techniques. They all, literally, had to be doable “by hand,” even if some of them are not likely to be duplicated, given the intensive work. But yes, I have actually pickled tomatoes, as Afton does, and they are great, but whew! What an undertaking! In terms of assigning these recipes to characters, the ingredients, techniques etc. had to fit into the era where they were cast (as, say, Connie’s 7Up Salad is a staple of Fifties cookery). They had to fit the geographic and economic situations of the characters. I wanted the book to live up to its title, to cover a wide swath of lives and contributions to American cooking. I wrote them up in a casual, often non-specific fashion, as your old auntie might write her recipe, not as Julia Child would write it. In that regard, these recipes are “elastic,” though the instructions are specific enough to assure success for anyone who tries them. I do think the quote you cited applies every bit as much to life as to good cooking. Join us again tomorrow as Laura talks about her writing process. The sea, the beautiful sea. A Mayan ruin–what’s left of the top of a lighthouse on Cozumel, Mexico. Back from the Caribbean and easing into the “real” world again. Sigh. It was a wonderful, relaxing time away from everything. My husband and my gifts to each other was to turn off our laptops and cell phones for the entire cruise. A lovely vacation! White sand beaches, blue skies, warm breezes and water. What more can I ask for? Swimming with Stingrays. Very cool experience. Fannie Sperry Steele was another Montana cowgirl who took a lifelong love of horses and turned it into a rodeo career. By the time she was six years old, she owned her own pinto, and in 1903 at age 16, she wowed the crowd with her spectacular ride on a wild stallion. This was the first rodeo money she earned as the crowd dropped coins into a hat to show their appreciation. By 1904, she had earned her first ‘Women’s Bucking Horse Champion of Montana’ title. Fannie’s accomplishments included being named World Champion bronc rider and headlining as a sharpshooter with Buffalo Bill Cody where she shot china eggs out of her husband’s fingers and cigars out of his mouth. 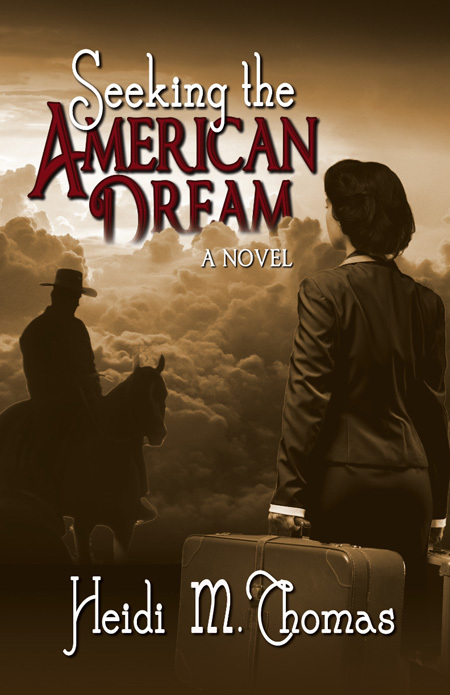 Her fashion was long black braids, a vaquero-styled hat to shade her eyes from the sun, fancy cowboy boots, a shirtwaist and a split skirt. Many spectators came to watch the women performers, and like the other cowgirls, Fannie tried to ride like the cowboys but not look like them. Before she retired from rodeo, Fannie and her husband organized their own Wild West show and a stock company, touring the country. 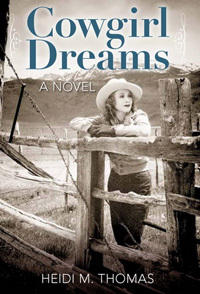 Finally leaving rodeos behind, Fannie went back to Montana to operate a guest ranch, guiding visitors into the Rocky Mountain wilderness until well into her seventies. An engaging, informative book, The Lady Rode Bucking Horses, has been written by Montana author Dee Marvine. My grandmother was a contemporary of a well-known Montana cowgirl, Marie Gibson, and competed with her at various rodeos. I have one newspaper clipping that states Toots Bailey won the steer riding event, beating Marie. 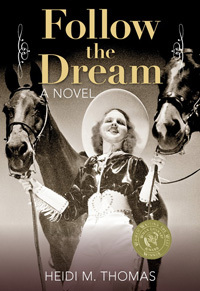 Marie originally came from Canada, where her father raised race horses and was one of the few licensed women jockeys in the U.S. Marie started doing trick riding during fairs and small rodeos, eventually got into competition and met Tom Gibson whom she married. In 1919, after a successful bronc ride in Canada, Marie was awarded the prize by the Prince of Wales. Winning hundreds of championships, Marie went to London with the Tex Austin Troupe in 1924, and was named champion cowgirl bronc rider at Madison Square Garden in 1927. Her career came to an end in Idaho Falls, Idaho, September 23, 1933 at the age of 38. Following a successful ride on a bucking bronc, the pick-up man rode toward her to take her from the horse, which was still bucking. The two horses collided, Marie’s skull was badly fractured, and she died a few hours later. In early rodeos, women and men competed in the same arena, drawing from the same stock. Women rode broncs, steers, bulls, and did steer roping or bulldogging as well as trick riding, Roman races and relay races. I know that my grandmother, Toots Bailey Gasser, rode steers in small Montana rodeos. Other cowgirls, such as Marie Gibson, also from Montana, rode steers, bulls and broncs throughout the US, Canada and even London. 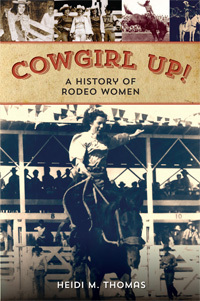 While each cowgirl had her specialty, most participated in multiple events. Vera McGinnis, Tad Lucas and Fox Hastings were probably best known for trick riding. This demonstrated numerous types of stands and vaults, performed while the horse was galloping at top speed. Other maneuvers included crawling under the horse’s belly, hanging just inches from the mount’s pounding hooves. The relay race required three laps around a track, and the rider had to change horses, and sometimes saddles, after each round. If they weren’t required to change saddles, many cowgirls perfected the “flying” change, leaping from the back of one horse to the other without touching the ground. Vera McGinnis is credited with inventing this move. My character, Nettie, from my novel Cowgirl Dreams donned a pair of her brother’s denim pants, sneaked out of the house one morning and rode in a neighbor’s informal rodeo. She loved the freedom of riding her horse Toby wearing pants and especially riding the steer in the rodeo. The adrenaline of staying on the back of that bucking, twisting, angry beast had her hooked and the clothing allowed her to ride unencumbered by the extra fabric of a skirt, divided or not. But, when she arrived home, her mother was horrified to see her daughter dressed as a man. 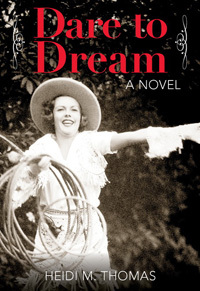 And having heard that Nettie’d ridden in the rodeo against her wishes, Mama was highly upset. “Don’t you sass me, girl.” Mama’s voice shook now. “And wearing pants in public, too.” She closed her eyes a moment and sighed. “You will take that basket of socks, go to your room, and don’t come out until they’re all finished. No supper. No No riding. For a month.” She turned on her heel and stalked out of the kitchen. It used to be, and probably still is in some places, that a handshake was enough to seal a deal among cowboys. Not much need for written contracts, high-prices attorneys, and civil suits. A man’s word was his bond. He was known by his reputation–honest or not. Handshakes have been around since the birth of civilization. In fact, they were originally a way to prove you had no weapons in your hand when meeting someone new. I wonder what would happen if Wall Street firms looked back to a simpler time when a handshake was enough to seal a deal, and right and wrong were as clear as black and white. What if executives, portfolio managers, analysts, and traders decided that some things aren’t for sale? What if every major investment firm agreed to live by the principle that the client always comes first? Do we still have enough “cowboy” in us to do that?